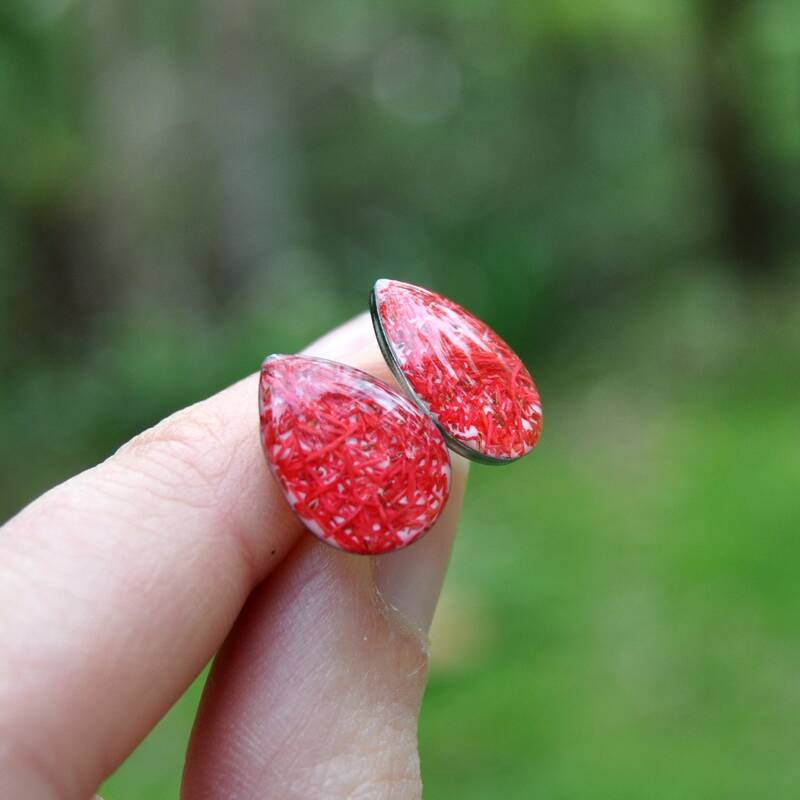 These unique drop earrings are made from a combination of crystal clear eco-resin and the brightly coloured filaments from the Red Flowering Gum. 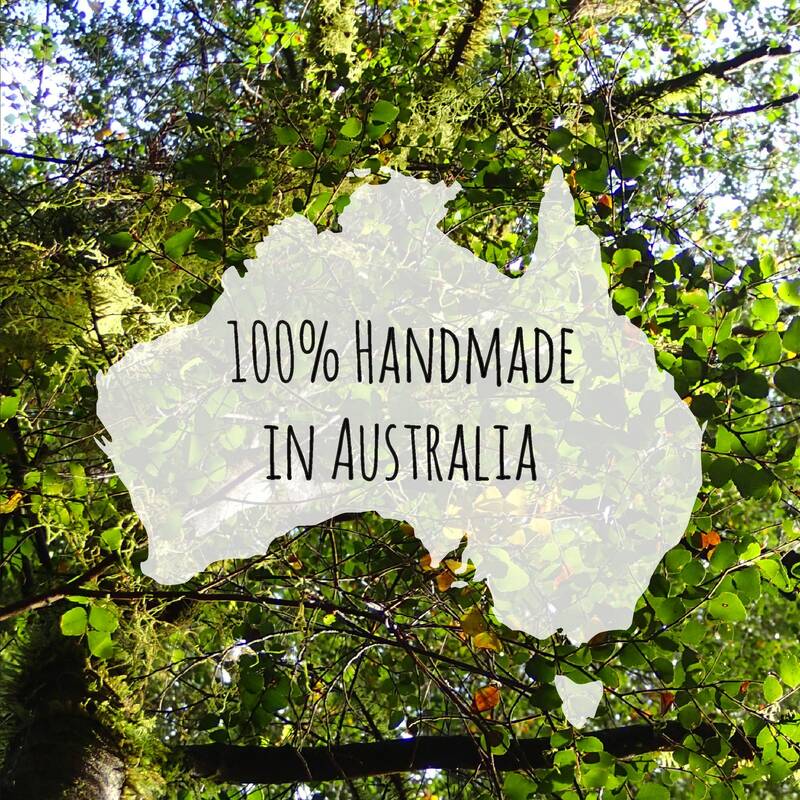 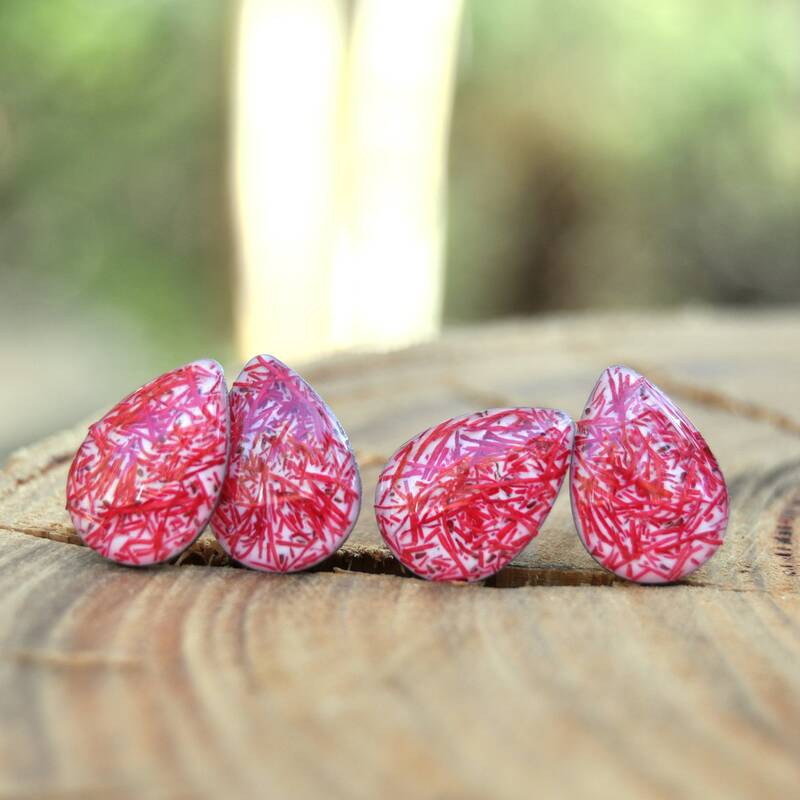 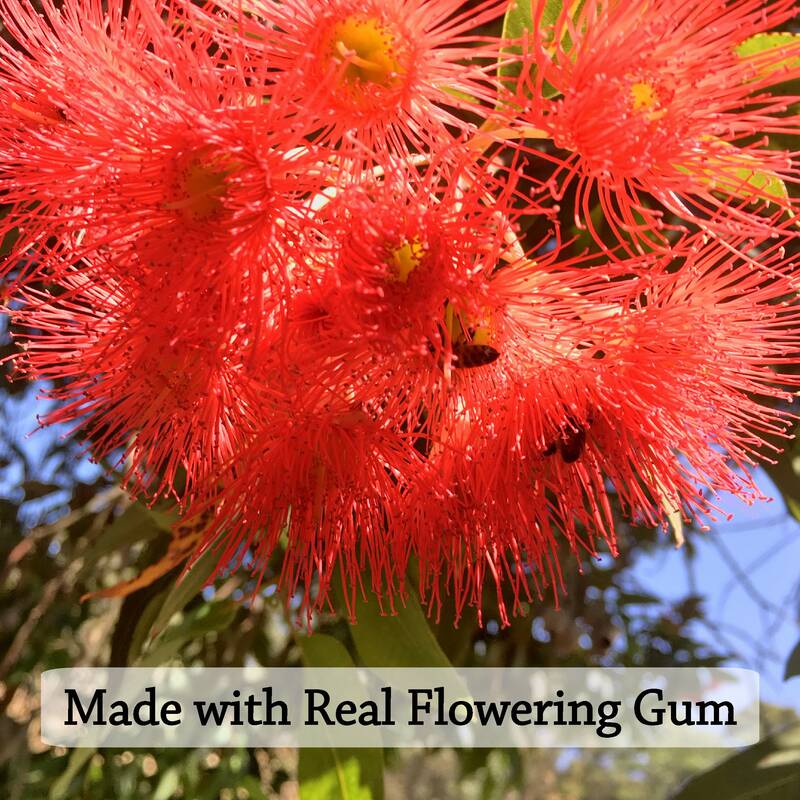 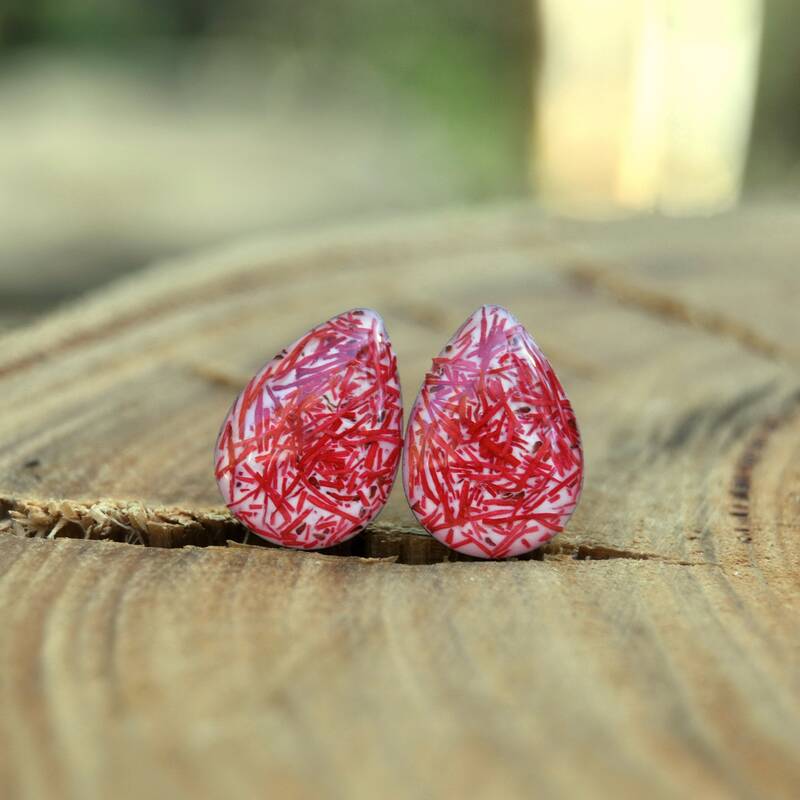 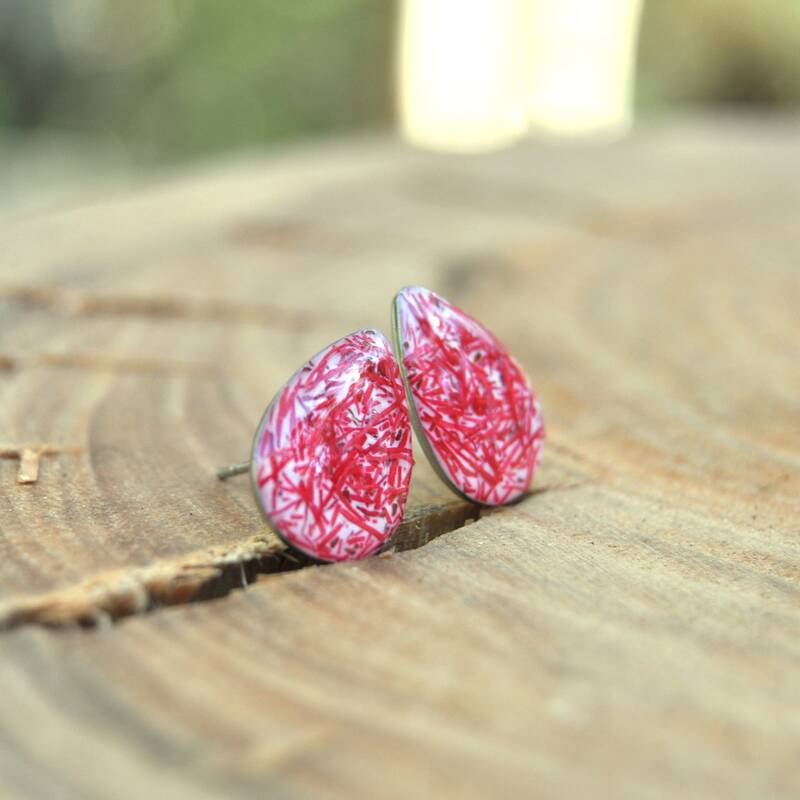 In a lovely deep red tone, they represent a uniquely Australian flower, and are sure to be an interesting addition to any earring collection. 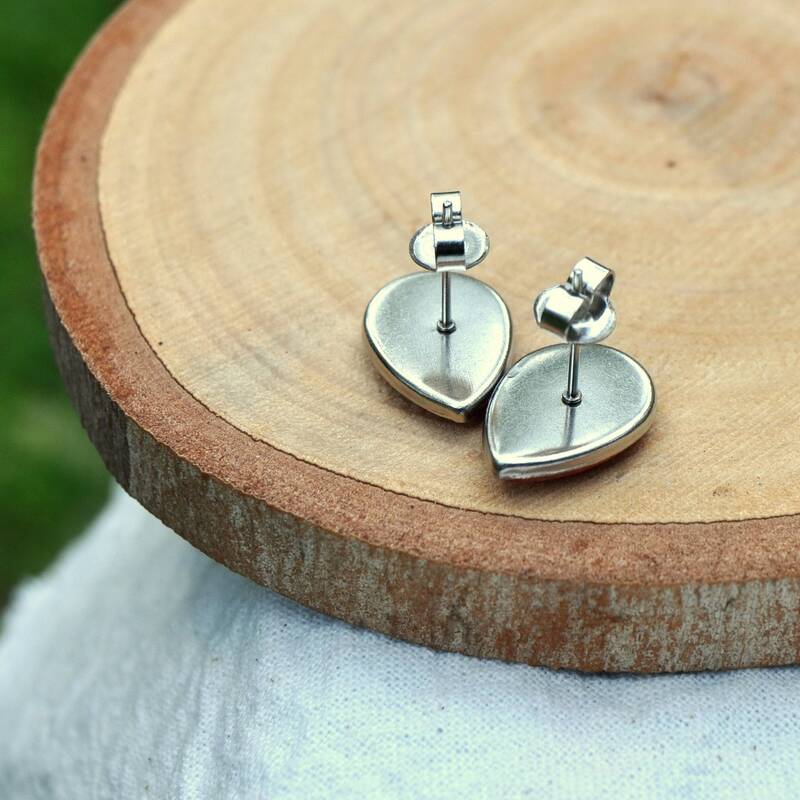 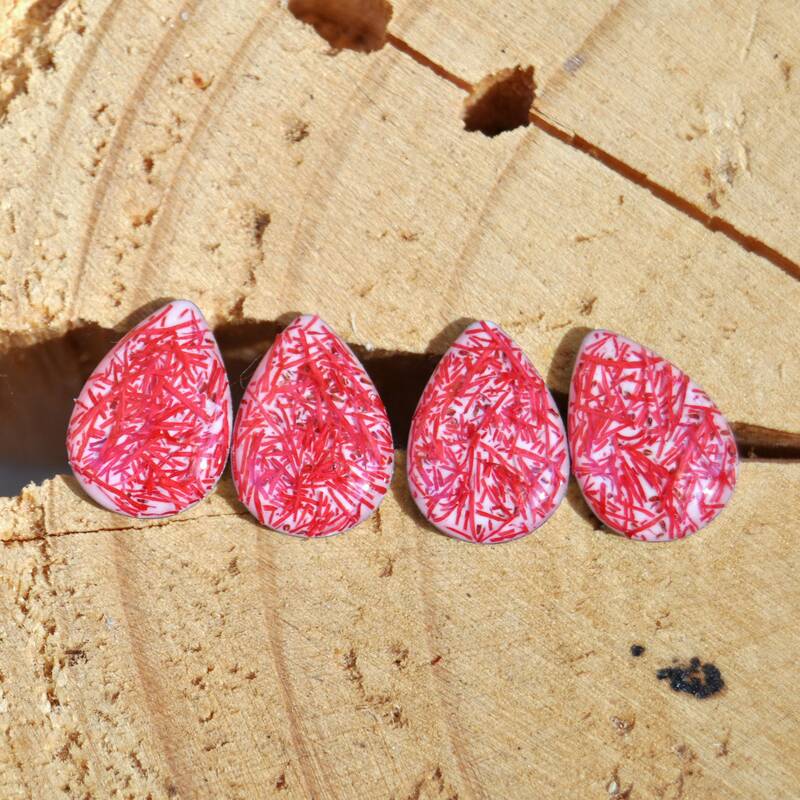 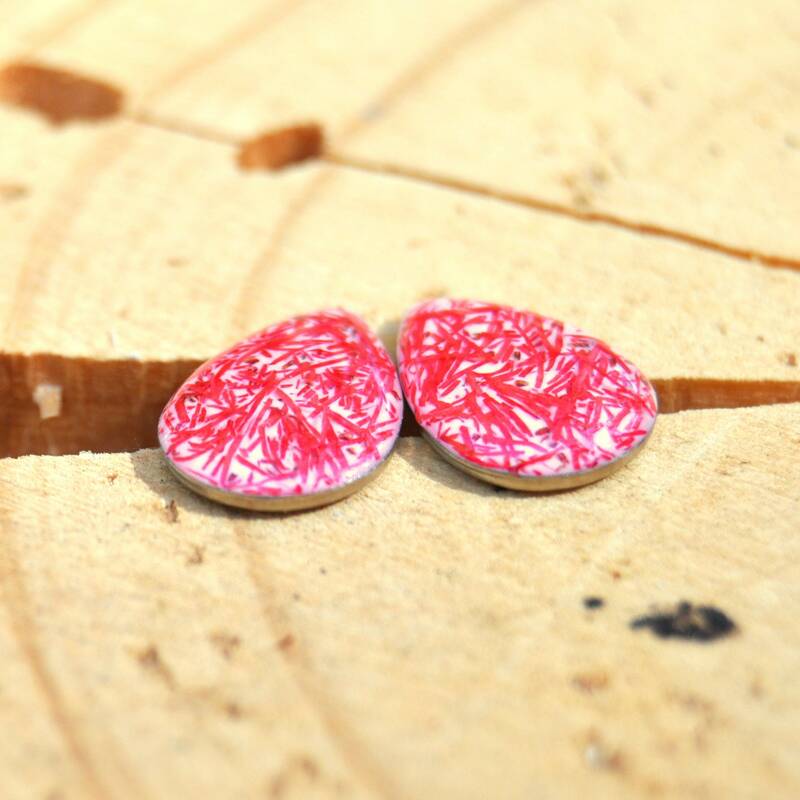 ♥ Size: tear drop shaped - 15 mm tall x 11 mm wide, about 3 mm thick.